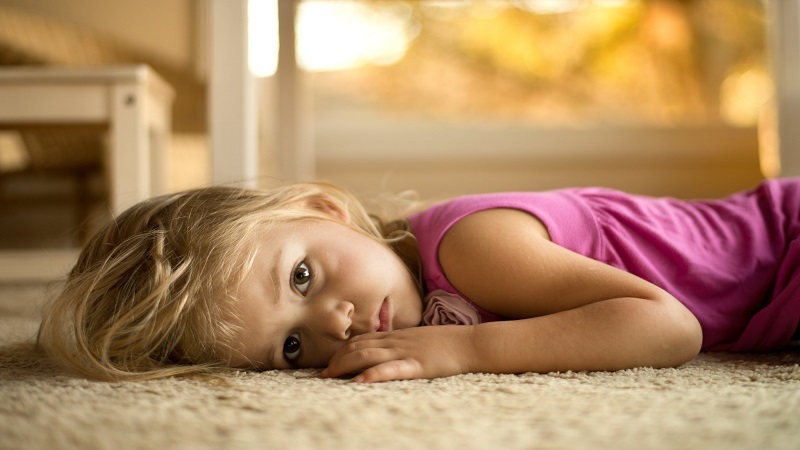 Sometimes children tend to worry too much about certain real or imagined aspects, which lead them to generate states of anxiety and generalized and excessive worry. People closest to the child have a very important role in preventing anxiety problems. Parents and educators can reduce the impact of stressful life situations or events that the child lives, can educate them to enhance their personal resources, and can promote new experiences and promote healthy living habits. How? Talk to the child about everything that worries him, how he feels. Allow you to vent and expose all your worries, doubts and feelings. Do not force the child to talk about their feelings, be available when he needs them. To act as models of behavior and coping with problems: children learn to act and deal with problems by imitating and adopting as their own the modes of action of people close to them. Understand how important the child is to that situation. We should not detract from events that may be inconsequential to an adult: a fight with another partner, a change of teacher, difficulty in some school matter, etc. May be significant enough for the child to be concerned. Talk to the child about everything he fears. What is troubling you? What is the worst that can happen? Adopt an attitude conducive to conflict resolution or problems: what can the child do to solve that problem? How can he do it? Is it in your power to solve it? It is important that parents or caregivers do not take a too directive role: the child must learn to solve their own problems. To solve them does not teach the child to be autonomous, but to depend on the parents or caretakers and to resort to them whenever he has a small setback. Be interested in the evolution of the problem. Encourage the child, reinforce it by the advances. The response to a situation that generates anxiety depends in part on the resources available to the individual to deal with this problem and whether he perceives that he is capable of solving it. In other words, it is not enough to have the weapons to face a problem; you have to believe that you can fight against it and overcome it. This feeling of self-efficacy has a lot to do with self-esteem. In the formation of self-esteem, the family and the school are especially important. What can be done to promote good self-esteem in the child? Unconditional love: unconditional acceptance of parents is undoubtedly the best strategy to encourage good self-esteem in the child. The child must be sure of the love of his parents towards him for himself, not for what he does. Provide support: parents must show their child that they will be there when he or she needs help, teachers should express to the child that they can help him when he has difficulties in his school work. Help the child find aptitudes, interests, and activities. Strengthen and strengthen their abilities:encourage the child to improve their skills in the tasks they perform in a deficit and, above all, to enhance those they like best and that better or more easily. Correct him when he does something wrong. It is important to criticize their performance, but not their way of being. It is more appropriate to say ‘you have not done well the bed’ than ‘you are a pigeon,’ better to say ‘if you had studied more, you would have passed this test’ that ‘you are vague and silly’. Praise him for his advances, for the things he does well. Do not demand perfection or speed. Evaluate as valid the results you are getting, even if they are not perfect. As you do things you will get better and faster. Do not be overprotective. The feeling of being able to stand on our own is built on a daily basis and depends on the activities we carry out and the problems we face. Let the child face his own problems and learn strategies to overcome them. Foster their autonomy. It is important that children at an early age acquire responsibilities at home and at school: help with small household tasks (setting the table, washing dishes, making their bed, etc. ), picking up their desk, helping to keep the classroom in order … These tasks will be all the more complex as you grow older. Do not be overly picky. An excess of the external demands that the family makes can lead to states of high anxiety in the child. 3. Encourage healthy habits, promote new experiences. It is very advisable that the children have very varied experiences. This will allow them to meet different people and make friends, get to know them better and know their most important skills and interests meet different problems and develop skills and strategies to solve them, etc. In short, fostering new experiences in children can strengthen their self-esteem and coping resources and establish a network of social relationships. Social support is undoubtedly one of the most important resources to prevent psychological problems, including anxiety. It is important to foster the child’s social relationships: letting him or her go out with other children, outings, sleeping at friends’ homes, setting a time for a home that is prudent but not too restrictive … The more different experiences the child has, the more strategies develop to deal with problems. The more friends you have, the better and more supported you will feel in order to overcome different problems.